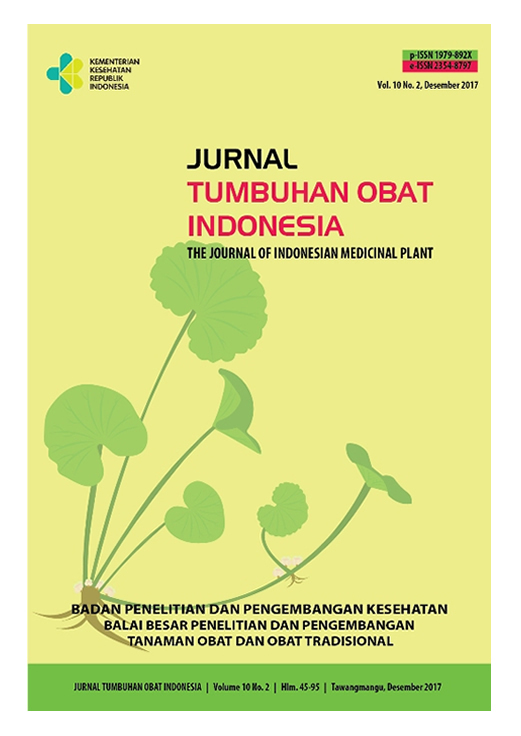 Jurnal Tumbuhan Obat Indonesia (Journal of Medicinal Plant Indonesia, p-ISSN : 1979-892X, e-ISSN : 2354-8797) is media information and research results and development of Indonesian medicinal plants as well as a means of communication the researchers / managers / interest in the field of medicinal plants in Indonesia. The journal is published by Balai Besar Penelitian dan Pengembangan Tanaman Obat dan Obat Tradisional (B2P2TOOT) Tawangmangu. See Google Scholar Profile for Jurnal Tumbuhan Obat Indonesia by clicking here. 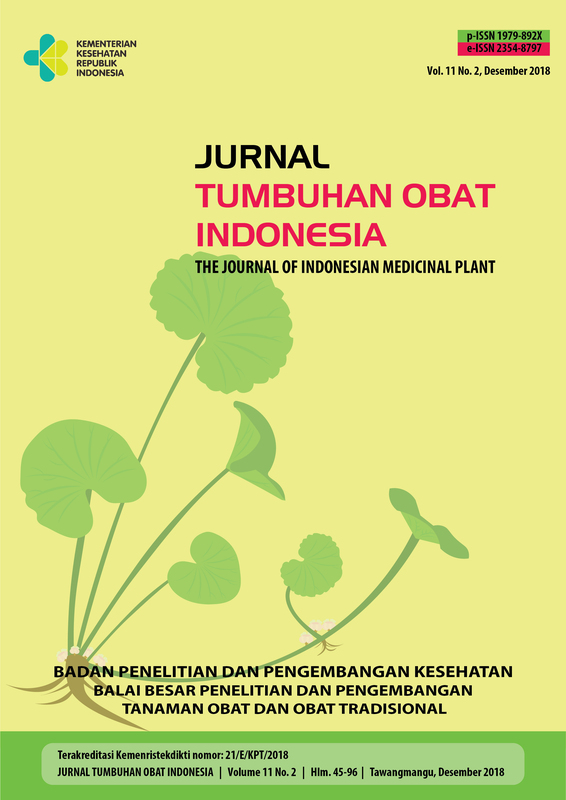 Jurnal Tumbuhan Obat Indonesia (Journal of Indonesian Medicinal Plant, p-ISSN : 1979-892X, e-ISSN : 2354-8797) is published by Balai Besar Penelitian dan Pengembangan Tanaman Obat dan Obat Tradisional (B2P2TOOT) Tawangmangu.